A master class with Vittorio Grigòlo offered an unexpected lesson in chemistry, conducting, and electricity. The charismatic opera star has been in Los Angeles where he stars as E.T.A Hoffman in LA Opera’s Tales of Hoffman. While in Southern California, Grigòlo led master classes with Angels Vocal Art, an organization that fosters emerging vocal talent. Singers auditioned for the chance to perform for the world class tenor. Grigòlo whipped the emerging young “conductors” into shape through intense work on the lyrics, the score, and their physicality. While student Ricardo Mota sang Bizet’s “La fleur que tu m’avais jetée,” Grigòlo reminded him, “You are a dark spirit, give me color.” Grigòlo encouraged his students to fully embody their characters. He did not allow small details like a scripted yawn to escape him, and he showed the students how to naturally incorporate even the smallest of nuances into the music. He urged them to probe the text, the notes, and even their own physicality in order to deliver authentic performances. When tenor Tyler Wolsten sang Bizet’s moving “Je crois entendre encore,” Grigòlo stopped him in the middle of his performance to focus on the word “crois,” the French word for believe. “What do you believe?” Grigòlo demanded, insisting that the singer reflect on the text before attempting to express an emotion to the audience. Grigòlo also encouraged the students to fully delve into the shades the notes of the score. When soprano Roksana Zeinapur sang Mozart’s “In Quali…Mi Tradi quell’alma ingrate,” Grigòlo asked her to pause to listen to a chord. “That chord is conveying uncertainty,” Grigòlo explained, encouraging her to convey the same sentiment though her voice. The indefatigable Grigòlo even asked students to punch his stomach to understand the importance of diaphragm strength. Under Grigòlo’s exacting instruction, the students showed a clear metamorphoses – for instance, some from shy and tentative, to rousing and convincing. The tenor stayed as late as possible to accommodate every student in the class and give them the opportunity to sing for him, even though he already had tight demands on his schedule that evening. A takeaway from the intense master class is that Grigòlo, in fact, sweats the small stuff. And that’s why he’s the big stuff. He not have been an actual thief, but Richard Wagner’s Newfoundland dog Robber successfully stole the composer’s heart. In Wagner Without Fear, author William Berger regales us with colorful tales from Wagner’s life, including his tumultuous journey from Riga to Paris. When the debt-ridden Wagner and his wife Minna decided to escape from present-day Latvia, the composer insisted that Robber join them, despite the great risk. Cossack patrols guarded the Prussian border, with orders to shoot and kill the unlucky fugitives who caught their attention. Miraculously, the pooch did not make a peep as they dashed across the border. One little bark would have meant Sayonara Wagner. Welcome to Valhalla.Wagner then decided that the trio would henceforth travel by sea, avoiding land voyages that would tucker out the legs of his beloved canine. Unfortunately, turbulence reigned during their voyage on the merchant ship Thetis. This tempest-filled odyssey endured for more than a month, with the sounds of sailors’ shrieks terrifying Wagner.Thankfully, the Wagners arrived safely in London and eventually, Paris. The traumatized composer refused to step foot on a ship for the rest of his days. His angst-filled voyage, however, inspired the music for the Flying Dutchman. Thus, Robber’s influence on Wagner’s sailing itinerary had its rewards. A dog really can be a Man’s Best Friend and, in some cases, his Best Muse. If you don’t have anything nice to say…. Richard Strauss’ caustic jabs about Viennese composer Arnold Schoenberg came back to haunt him. I regret that I am unable to accept your invitation to write something for Richard Strauss’s fiftieth birthday. The only person who can help poor Schoenberg now is a psychiatrist…. I think he’d do better to shovel snow instead of scribbling on music paper. This week’s concert by Pittance Chamber Music suggests a second meaning: music that penetrates the chamber of the heart. The ensemble evoked a raw immediacy and poignancy through their talented performance and moving repertoire. Particularly moving were the pieces set to verse. Ralph Vaughan William’s “On Wenlock Edge” was set to “A Shropshire Lad” by A.E. Housman while Benjamin Britten’s “Folk Songs,” included the verses of 18th century Irish Poet Thomas Moore. Tenor Arnold Livingtson Geis sublimely captured the nuanced shades of love, death, loss, and humor in the verses which were simultaneously rooted in nature and soaring in spirit. The intimate setting allows the audience to witness first hand the the rapport between the musicians, a dimension and unquantifiable variable of palpable electric energy which enhances the appreciation of performance. A second benefit of the setting is the inescapability of the music itself. A few feet away from the performers, one more intensely absorbs the music and the layers of meaning in the program. What a privilege to listen to an an ensemble that can make the spirit soar like the lark in Shropshire. According to Norman Lebrecht, author of “The Book of Musical Anectodes” (Simon & Schuster, 1985), Beethoven flew off the handle when a waiter at the Viennese restaurant “The Swan,” brought him the wrong meat dish. Some artists are particular about their piano benches (Gould) while others are particular about their beef. An outraged Beethoven hurled the dish, gravy and all, over the waiter’s head. Beethoven also adored bread soup, which he ate religiously on Thursdays. Woe to the chef who did not prepare it properly. He or she would have to duck from Beethoven-hurled Eggs Bombs. Yolks on the Cook! 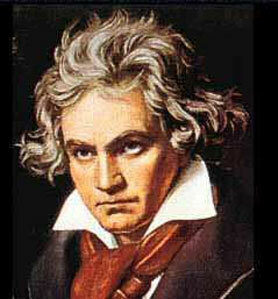 Beethoven obviously felt all of his senses, including his gastronomical ones, intensely. Perhaps that is why the wrong cut of beef could put him into a stew. A delightful Cultural Cocktail recipe: An infusion of R. Vaughan Williams+ a shot of Britten+ a dose of Korngold= a TOP PICK! 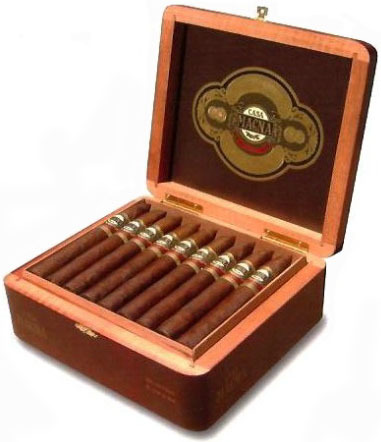 The payment of a box of cigars for the beautiful, dream-like waltz, is, in fact, tres triste. Salvador Dalí, surrealist extraordinaire, decided to lecture at the 1936 London International Surrealist Exhibition dressed to the nines in scuba gear. He commenced giving his speech, Fantomes paranoiaques authentiques (authentic, paranoid, phantoms) when suddenly, he could not breathe. As Dalí waved his hands for help, the audience laughed uproariously. The more he suffocated and gesticulated, the louder they laughed. The audience mistook what could have been a tragedy for slapstick comedy. Luckily, Dalí was able to unscrew his scuba helmet without losing consciousness.